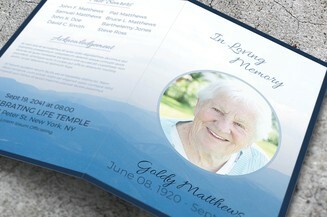 Give a memorial keepsake to other people who are also grieving with you. 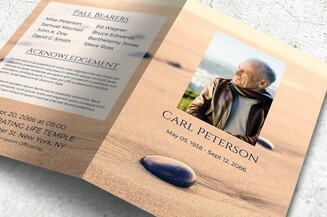 This serves as a wonderful gift for them to remember the life of a departed loved one. 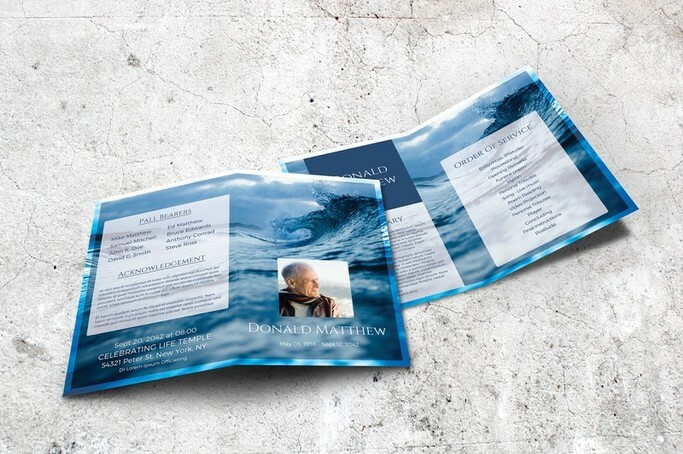 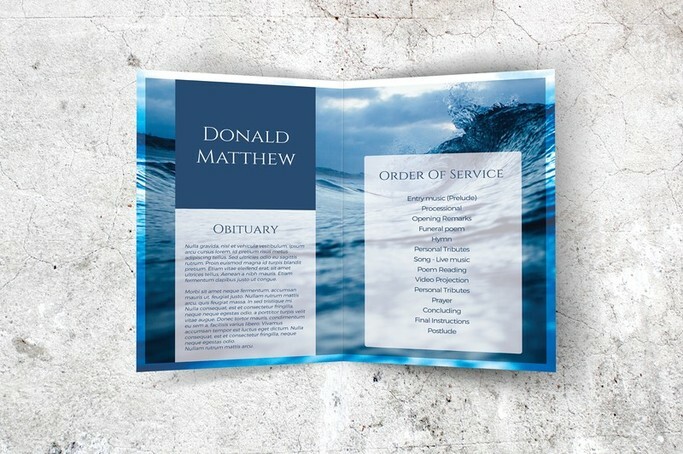 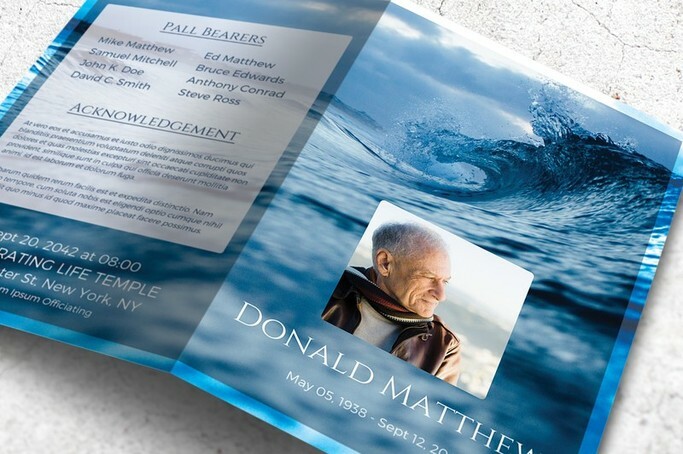 This downloadable memorial booklet template features a wave theme with a blue background that you can customize using Microsoft Word. 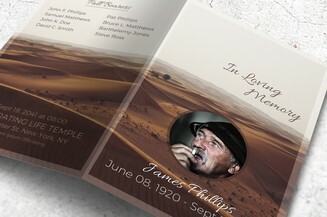 Once you have placed the text and the photo, you can print the document and hand it over to family members and close friends.